The taxi driver was unimpressed. “It’s a fingers-crossed job,” he grunted. He sprawled back in the driving seat and folded his arms at the lights, revealing a tattoo snaking down his fleshy forearm. Hull has a problem. It has been chosen as the UK City of Culture and the blue touch paper for the fireworks is due to be lit on January 1st. But Hull clearly isn’t ready. The street works are causing chaos, the regeneration projects are running behind and the city suffers a major dearth of hotels rooms. With an extra 1m visitors expected in the year ahead, the new Hilton hotel looks unlikely to be ready before September and a rumoured Radisson Blu hasn’t even broken ground yet. Local people are either feeling frustrated, or completely disinterested. After successful cultural-regeneration projects in Derry and previously Liverpool (as a European City of Culture), Hull is feeling the heat. 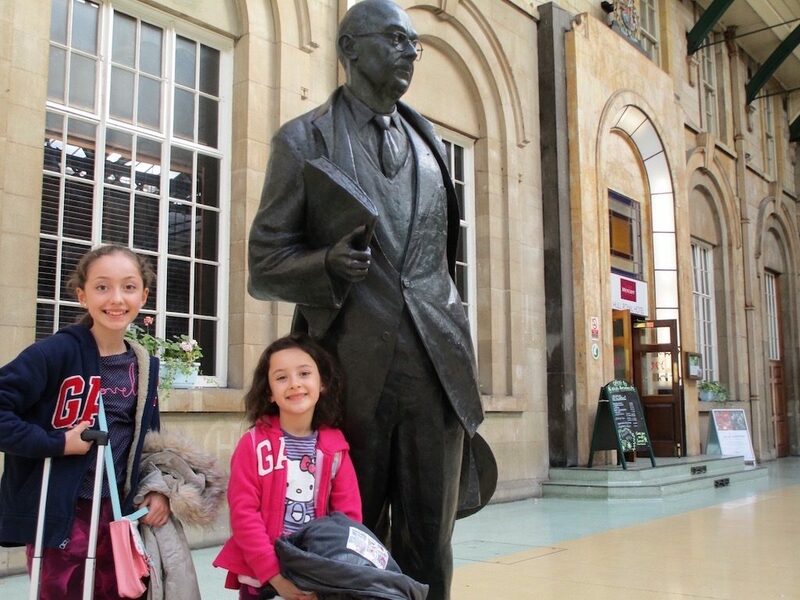 I came to Hull for a half-term break, introducing the girls to the city closely associated with the poet Philip Larkin [his statue at the train station pictured above]. Today much of the industry is gone. The Fruit Market area of the old docklands is a work-in-progress building site with hipster hang-outs closing as fast as they open. Only The Deep, the family-bustling aquarium with its perennially popular penguins, rises with any certainly above the shifting cityscape beyond the waterfront. I want Hull to hit its stride. I plan to return with the right commission. But, meanwhile, the taxi driver wasn’t holding his breath. Liked this? Try also Cultural renaissance in Liverpool. Another half term, another family escape. We did the Barbie cruise and the cycling trip to Holland, both of which went on to win travel-writing awards. Last week I took the girls to West Sweden for four nights of city-break fun coupled with some time out on the archipelago. See a Flickr gallery of images from the trip. The highlight of the trip was definitely the chance to spend the night on a family farm in the countryside. The Lekander family [pictured above] made us feel really welcome. It was a travel story for Family Traveller magazine — check out the full article in a future issue. But it was also a chance to talk to Swedish dads about how liberal Scandinavia values the role of fathers, recently passing new legislation to increase paternity leave. Sweden, we found, puts family first and, boldly, strives to make it easier for fathers to spend time with their children. Even Caligari, a stalwart of Swedish kids’ TV, whose magic show we caught at Gothenburg’s Alfie Atkins Children’s Museum, bases his act around family values. Watch a short Vimeo of Calgary below. In an age of top ten lists and mindless-filler content, it was great, as a writer, to get a commission with scope to address real issues in the context of an upbeat travel story. It has revived my writing mojo. And, better still, the girls had a ball. So, England 0. Sweden 1 then. Liked this? Try also West Sweden: Folklore traditions of midsummer. I was in Cannes [pictured above] this time last week — eating a fish stew with a cheeky glass of chilled white at the Carlton Beach Club to be precise. 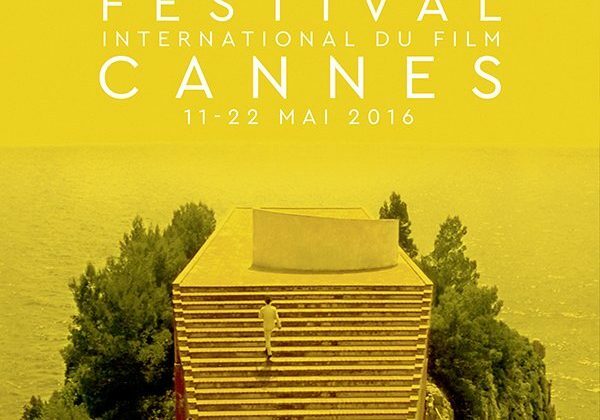 I had come to the French Riviera to research an article about Cannes’ rich cinematic heritage in time for the 70th International Film Festival in 2017; the 69th festival opens next week with Woody Allen’s new film. But, between the cinema walking tour from La Croisette and an afternoon exploring the giant wall murals of Hollywood stars through history, I also rediscovered my love for all things French. I lived in France for one year in the early Nineties as part of undergraduate life at Leeds University. It was a truly formative experience — a rite of passage of language skills, modern art and smelly cheese. I returned to Leeds afloat on Left Bank pretensions and sporting a crushed-velor jacket. But the head space of a year abroad also helped me decide to eschew a career path in Euro finance in favour of something more creative. Come autumn, I walked into the office of Leeds Student newspaper and asked for a job. Now, at another career crossroads, a few days of vin rouge, Jean Gabin and even more smelly cheese provided a contemplative Cote D’Azur backdrop to pondering the next chapter. Liked this? Try also Jules Verne in Amiens. There’s a man who stands in the middle of Chester each day in tights and shouts at people. But don’t worry. For David Mitchell, the Town Crier of Chester, it’s just a job. “I booked a town crier to wake my bride to be on our wedding day. He had to cancel, so I hired the outfit and did it myself. When his job subsequently came up, I applied,” explains ex-teacher David, whose book For Crying Out Loud! will be published by Avenue Books in September. This year David is inviting 40 more town criers from places as diverse as Bromsgrove and Baltimore to the historic Roman city of Chester. He will be hosting the 2010 Chester World Town Crier Tournament [pictured above], the event reaching a rallying-call crescendo after three rounds with the final on June 19 in the Town Hall Square. The event also kicks off Chestival, a month-long arts festival running until July 14. Amongst the Regency frilly-frocked competitors, look out for Martin Wood, the town crier of Shrewsbury, who at 7ft 2in is the world’s tallest crier. Check out, too, the vocal delivery of the in-form favourite for the title, Judy Campbell from Australia. Judy is the first woman to win the Australian National Championship and the only woman to be placed in the top three at the 1997 World Championships. For David, bringing the tournament to Chester reflects the close historical links between the city and the art of crying. Historically town criers have provided a cornerstone of community life. William the Conqueror is credited with importing their trademark call of ‘Oyez’ (it means ‘listen up’ in French) but bell-totting criers also appeared in the Bayeux Tapestry and there are references in The Old Testament in (Book of Proverbs, Chapter 8, verses 1-3). Far from a dying art, town crying is today enjoying something of a renaissance thanks to its tourist appeal. There are currently around 200 town criers across the UK alone. The Chestival programme also brings the Chester Mystery Plays (June 17-20), a Midsummer Watch Parade (June 18-20) and Fireworks concerts (June 25-26) to the city. You can’t miss the events. Chester’s very own town crier will be shouting about them from the rooftops. “Town crying is a historic form of communication,” says David. This story was first published in Hotline magazine in 2010. Liked this? Try also Home from home in Chester.